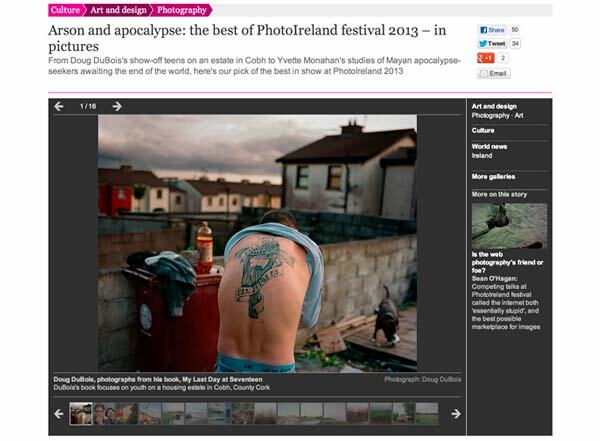 PhotoIreland Festival 2013: What a Spectacular Summer! The 4th edition of PhotoIreland Festival comes to a close after an incredible summer, and not just because of the weather. We enjoyed an ambitious programme of events highlighting Photography in Ireland. We have gathered here a selection of press clippings and links to several websites that featured the festival and its events, plus links to photo albums, for your delight. A selection of works from the festival , The Guardian. 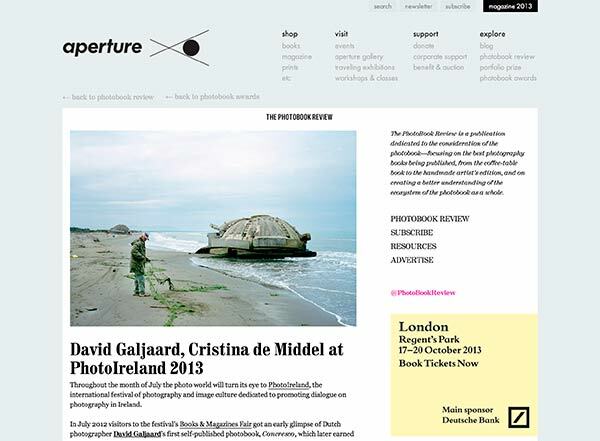 The Photobook Review, Aperture Foundation. 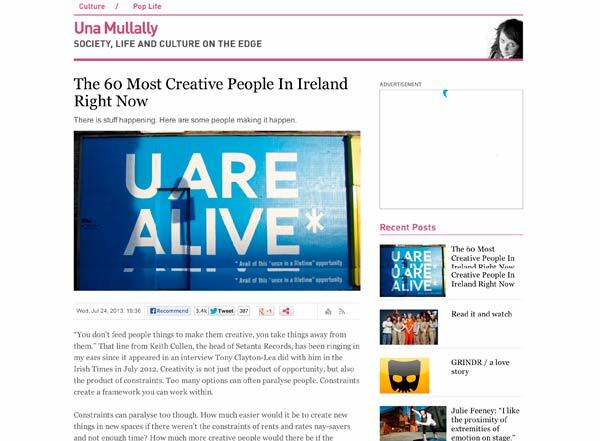 New Irish Works advert for RTE Supporting The Arts. The Irish Times Weekend Magazine. Featured in LEICA Fotografie International. PRISM, Art Guide East and more. 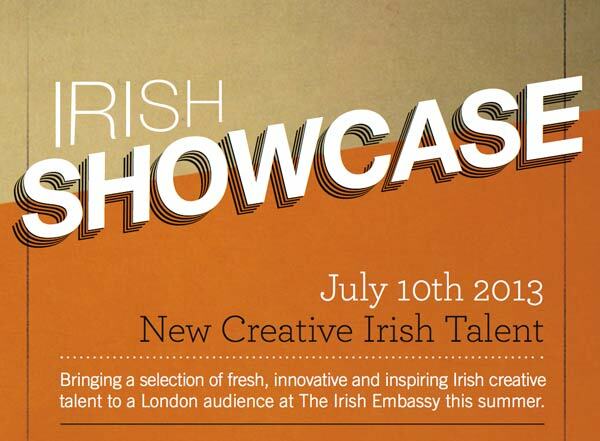 New Irish Works was presented in the Embassy of Ireland in London to distinguished guests as part of Irish Showcase, a new event that presents Ireland’s culture of creativity in a fresh, engaging and innovative way. 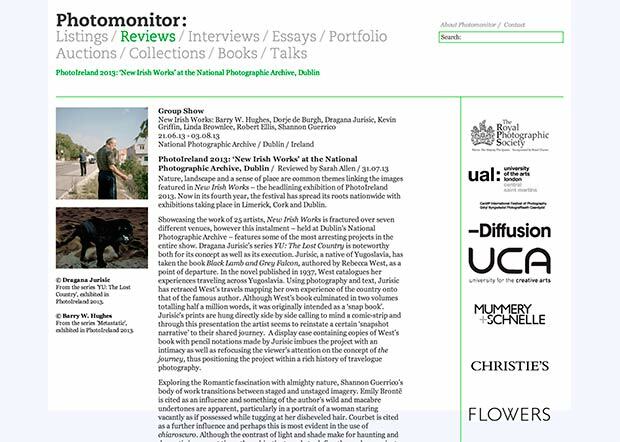 PhotoIreland Festival featured in NEXT Magazine issue 52, special International Photography Festivals – highlighting works by Paul Gaffney and Shannon Guerrico. 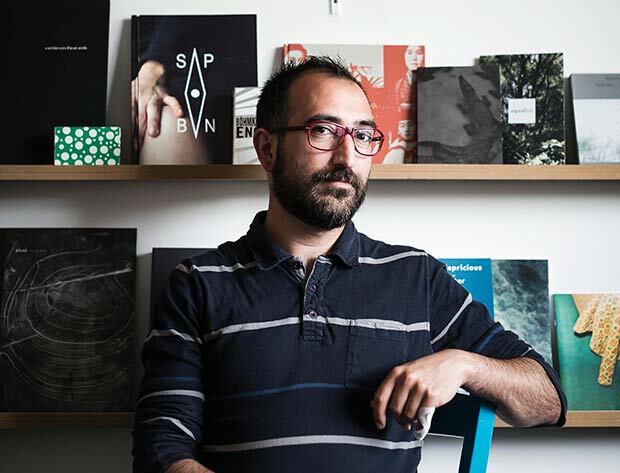 PhotoIreland Founder and Director, Ángel Luis González Fernández named as one of ‘The 60 Most Creative People In Ireland Right Now. 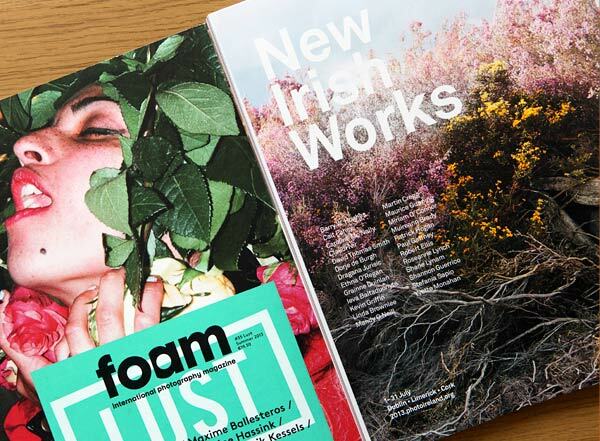 Featured in CARA MAGAZINE on the PhotoIreland Festival and The Library Project – a great article about the vibrancy of Dublin’s cultural life. – Bonkers bunker project is a concrete reminder of Hoxha’s rule. – Pictures tell story of women’s struggle. – Ireland in photographs: the Uncertain State we’re in. – Feature on Kevin Griffin: One man and his island. – Behind the Lens: Maurice Gunning. – Behind the Lens: Shane Lynam. – Behind the Lens: Dorje de Burgh. – Behind the Lens: Claudi Nir. – The Time of Dreaming the World Awake. – Paul Gaffney. We Make the Path by Walking series. – L’Irlanda che non ti aspetti è tutta in uno scatto. 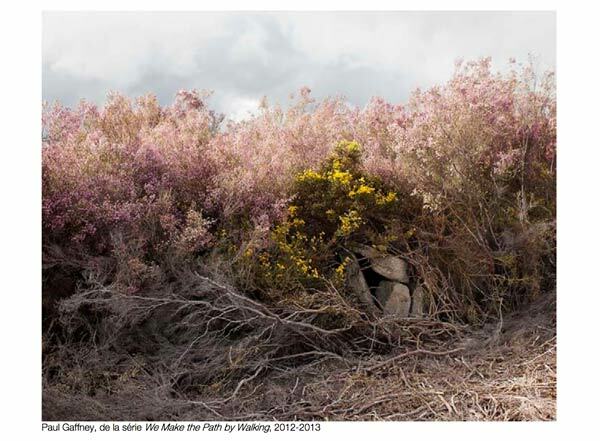 – Feature: PhotoIreland Festival 2013. 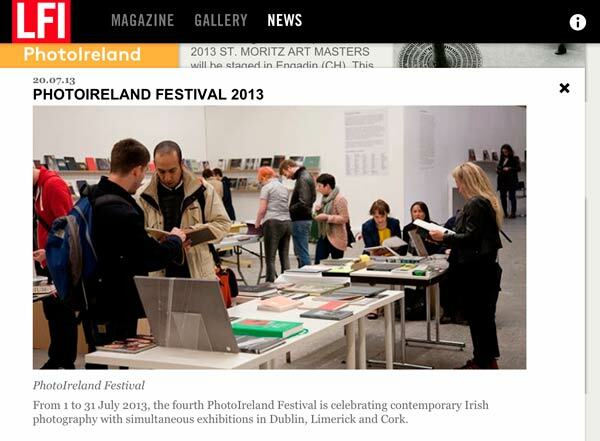 – PhotoIreland Festival 2013 in Dublin, Limerick & Cork. – David Thomas Smith: Eye in the Sky. – Slideluck Dublin in Limerick and Cork. – Review: New Irish Works. – Review: Concresco, David Galjaard. 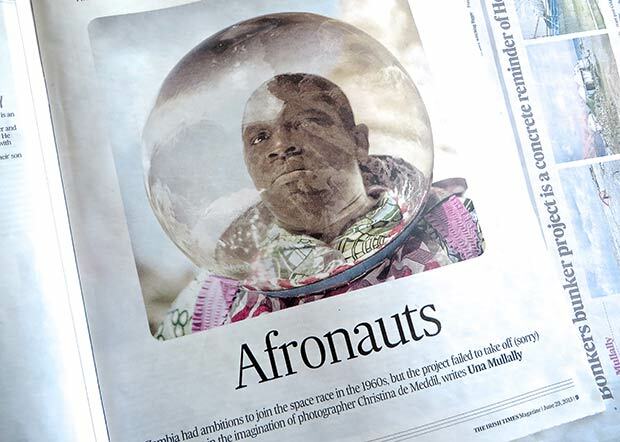 – Review: The Afronauts, Cristina De Middel. – Review: Three Regards, Miriam Schmidt. 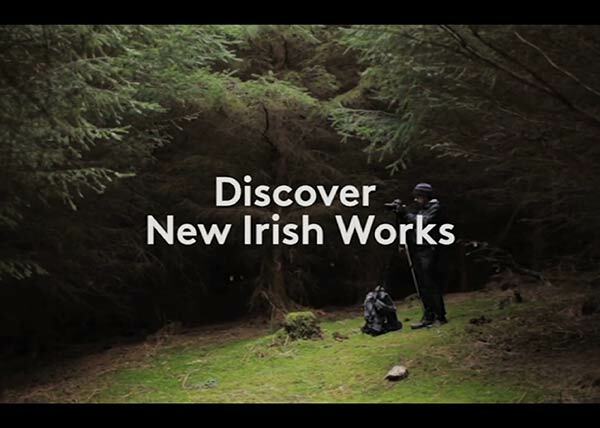 – New Irish photography hits Dublin, Limerick, Cork. 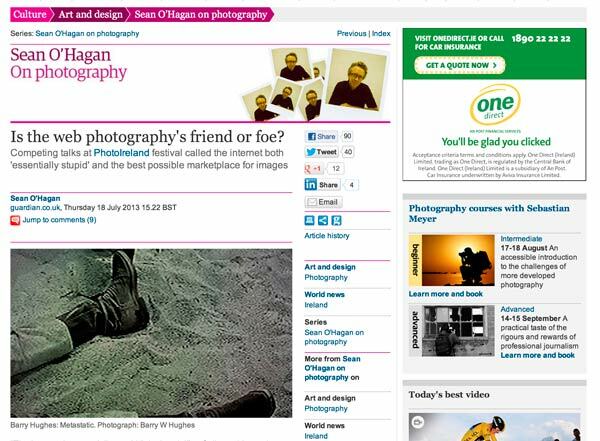 – Gallery: PhotoIreland’s New Irish Works. Visit Dublin, Entertainment.ie, The Gathering Ireland, Culture Fox, Limerick.ie, Limerick Post, Yam.ie, Youth Arts,Dance Ireland, Visual Artists Ireland, Dutch Embassy, Cervantes Institute, National Library of Ireland, Gazeta.ie, VULGO, The Score, PhotoDigest, The Art Park, and Actual Colours May Vary, amongst others. Opening of New Irish Works at Ormston House, Limerick. Opening of New Irish Works, at the National Photographic Archive, Dublin. Opening of Stefania Sapio, Spectrum, at the Istituto Italiano di Cultura. Opening of New Irish Works at TACTIC, Cork. Summer Campus 2013 – launch night, Dublin. Portfolio 13 at the Summer Campus, Dublin. David Galjaard/Cristina De Middel at The Copper House Gallery, Dublin. Reading Room at Occupy Space, Limerick. Lord Mayor of Dublin Oisín Quinn visits New Irish Works.